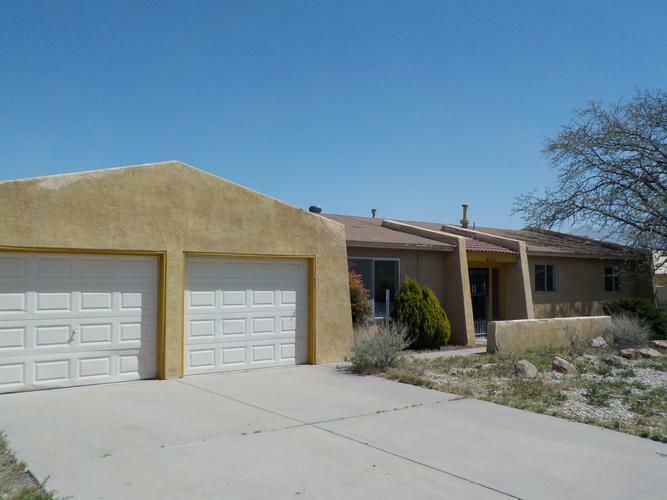 Rio Rancho Homes for Sale! 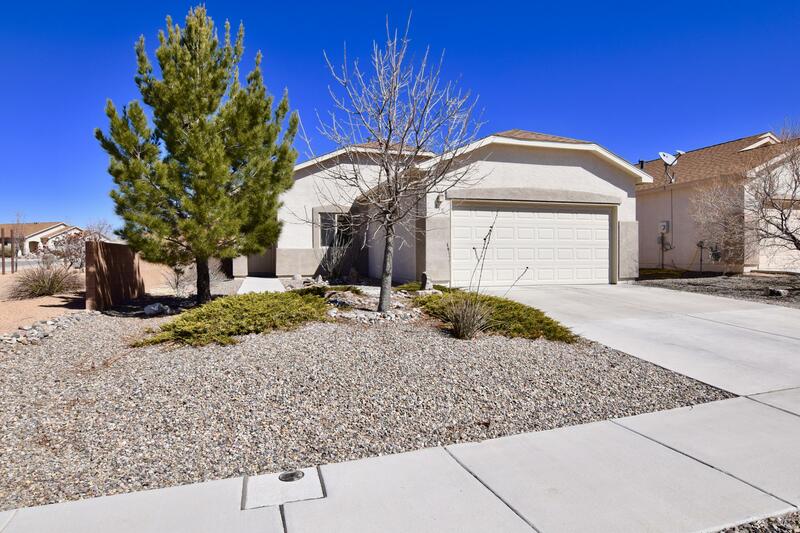 A part of the Albuquerque Metro area, Rio Rancho is a great place to raise a family, with a good school system, libraries, and dozens of parks, trails and sports facilities. Rio Rancho is the third largest community in New Mexico. 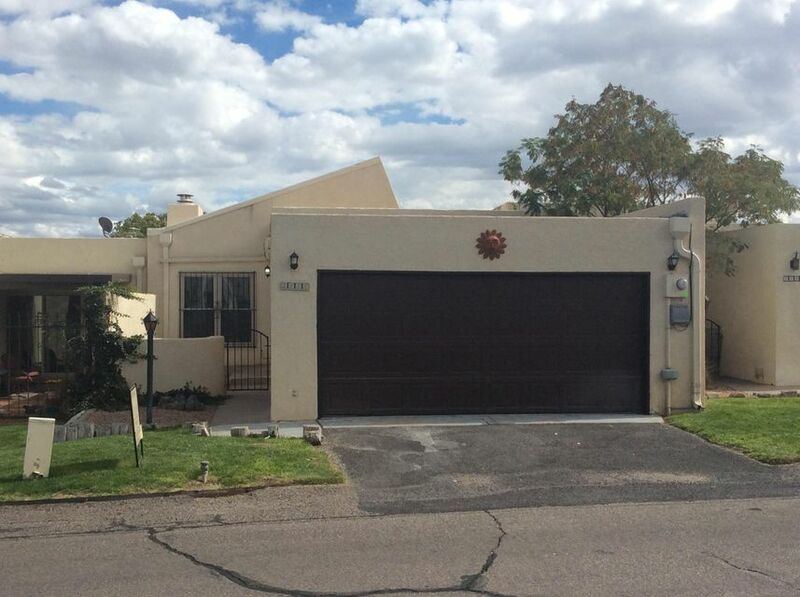 View all the listings for sale in Rio Rancho and let me know which ones you would like to see. 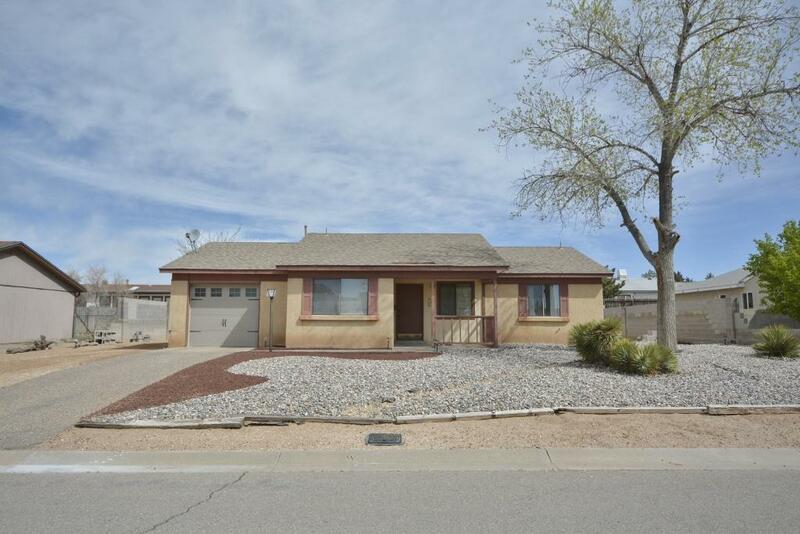 I specialize in assisting Buyers and Sellers in the Rio Rancho area. My website contains ALL the listings from ALL Real Estate Agents, there's no need to look anywhere else for your next home. "Desirable lower level unit. This will go fast.Eat in kitchen Living/Dining L, glass enclosed patio w/storage, walk in closets in both bedrooms. This unit is occupied by a tenant so appointments are necessary. This is a no pet property." "Nice and pretty, Lots of redo's going on here. New paint, new flooring, NO carpet, new fixtures, new faucets, lovely kitchen backsplash, fun and quiet location.Get ready for SUMMER, pool on site. 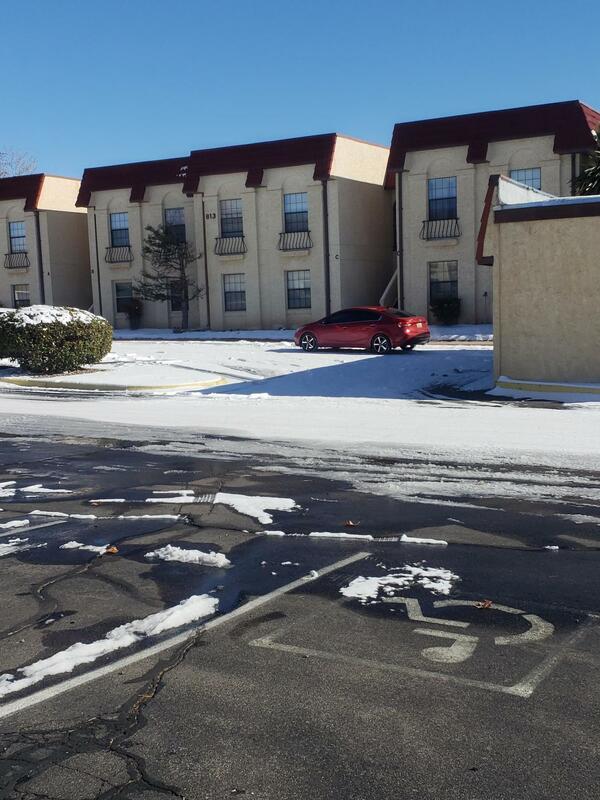 One assigned, covered parking space, one open parking space available." "Quaint ranch style home. 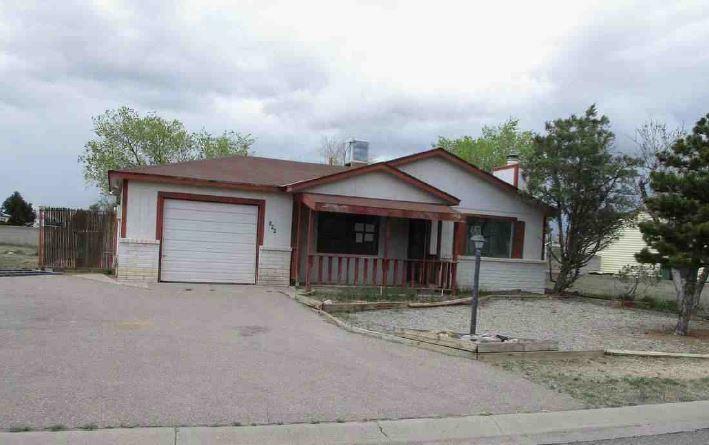 Property features 2 bedrooms, 1 bath, an open kitchen and nice living room with fireplace. The property is in need of some TLC but has potential." "Great Location! Don't miss this one! 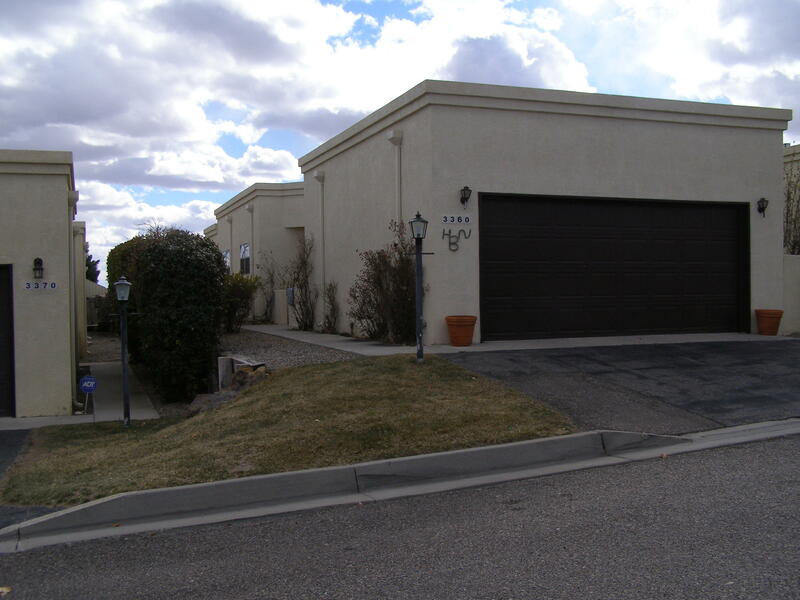 Updated Condo in the heart of Rio Rancho. 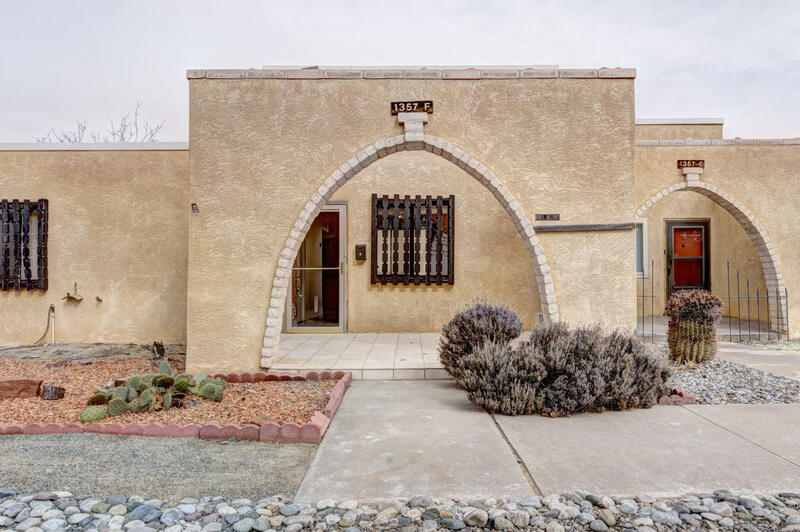 This fabulous 2 bedrooms and 2 bathrooms ground floor condo has tiles throughout, built in bookcase/tv unit in living room, newer double pane windows, renovated to present an ample bathroom with staked washer and dryer included. The practical and beautiful kitchen displays a gorgeous tan glass mosaic backsplash and newer appliances. Enjoy your favorite readings in the private and completely closed balcony. 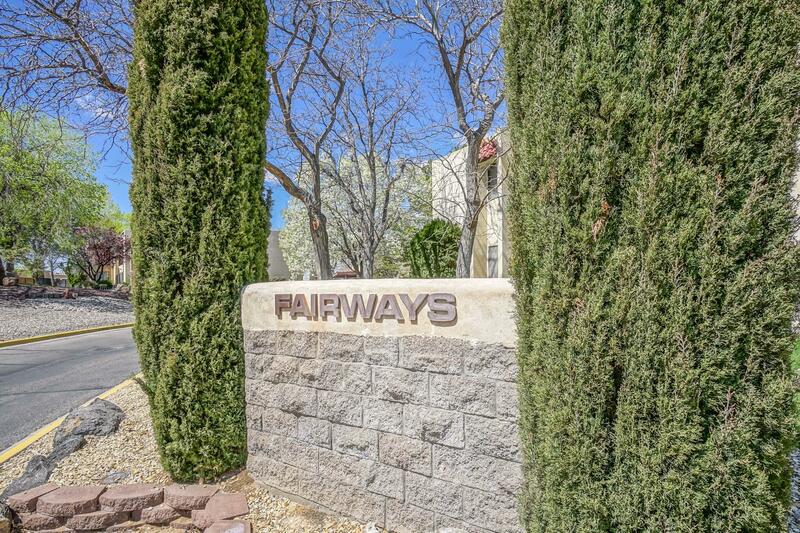 Super clea"
"This Beautiful Condo is located in the Popular Golden West ! 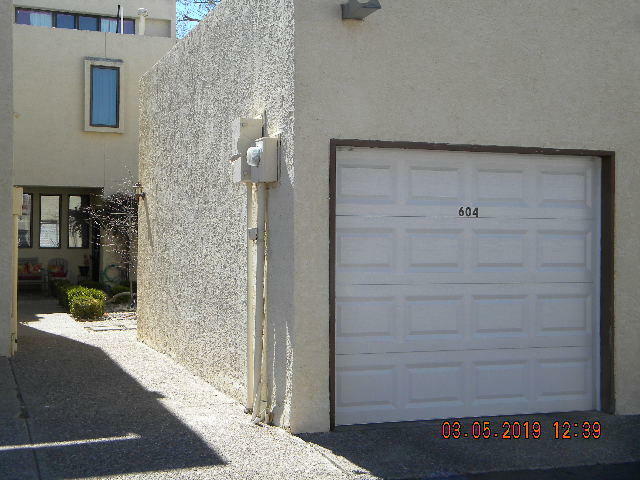 This 2 Bedroom 2 Bath Condo is perfect for someone looking to downsize and live in Rio Rancho! Lots of Shopping and Restaurants within walking distance. The condo offers a Living Room, Kitchen and Dinning, and Laundry !Welcome Home!! 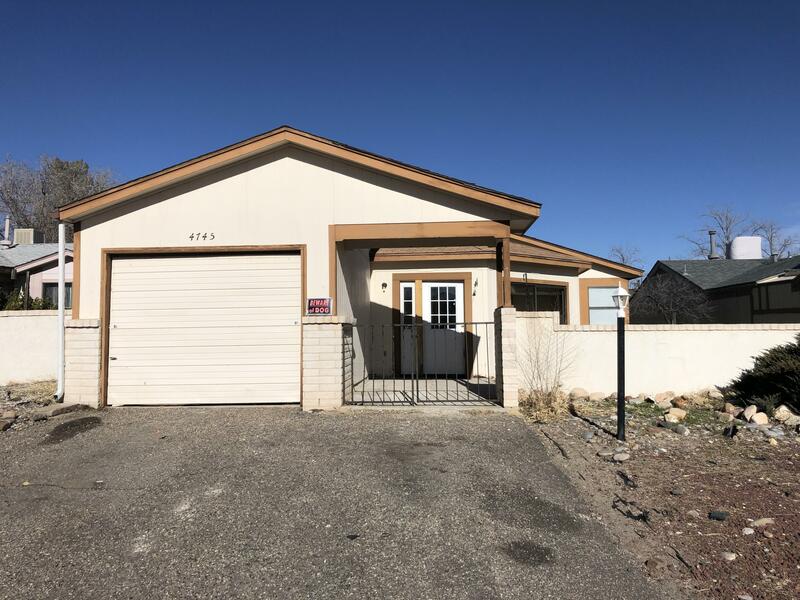 Sold once before and wont last long"
"Mountain view from back yard Good starter home or for those looking to down size.Eat in kitchen with washer/dryer hook ups in closet. Shower over tub in bath. Detached garage. Part of the front yard is walled off for privacy this area has grass.Covered front porch. Home being sold as isThe rest of the property is rock for low maintenance"
"3 bedroom 2 bath home in a well established neighborhood, close to schools and parks." 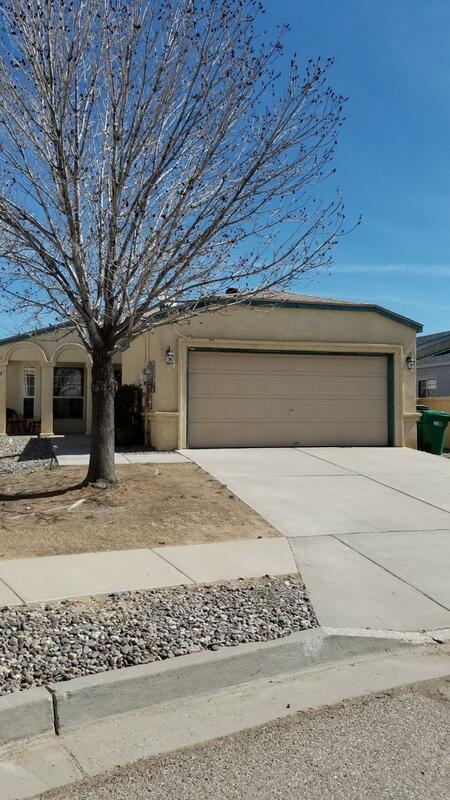 "Great home located in Rio Rancho. Three bedrooms and two bathrooms. Large kitchen with breakfast bar and plenty of cabinet space. Fence backyard offering privacy." "You CANNOT find a better home in this price range than this...Completely Remodeled and move in PERFECT! No expense spared...Everything is NEW: Paint inside, Tile, Wood flooring, New water heater. This is practically a brand new home! This home is located in an over 55 community and ready to move into today, bring your pickiest Buyer is sure to love it." 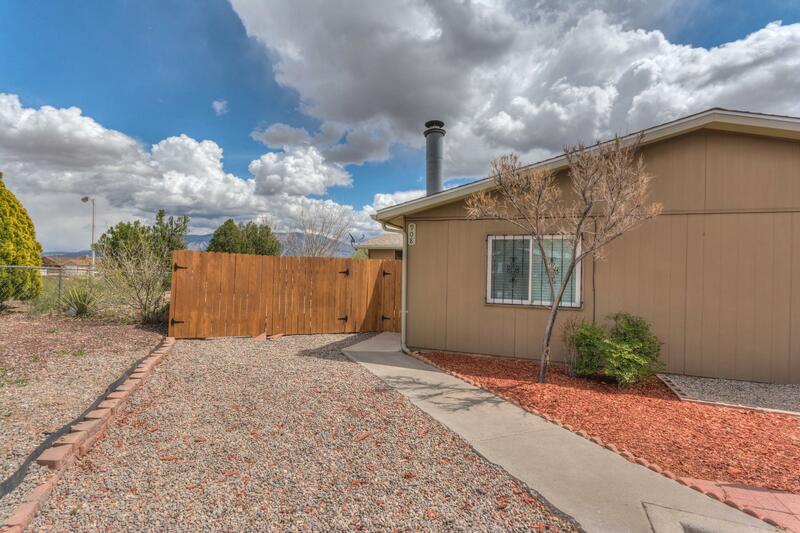 "Lovely and updated in the heart of Rio Rancho! 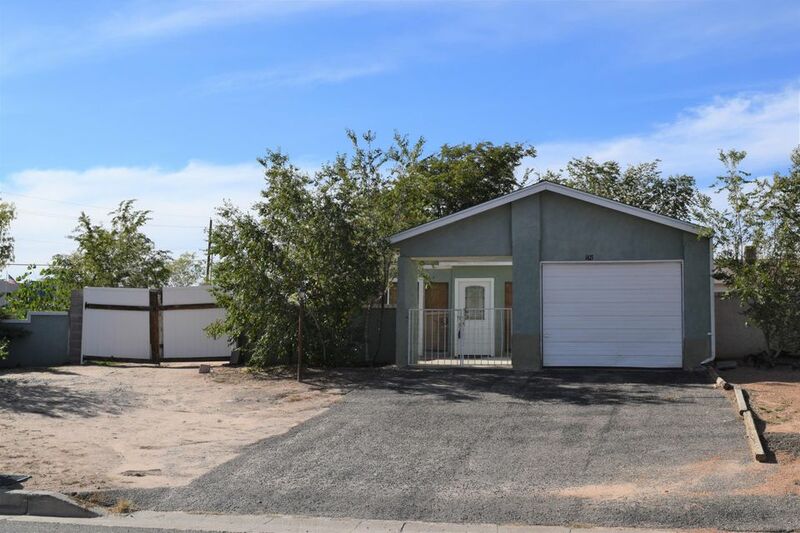 This 2 bedroom 1 bathroom home has been updated throughout to include a remodeled kitchen and bathroom, updated windows, fresh paint, and no carpet! Large living room with fireplace and open concept floorplan. 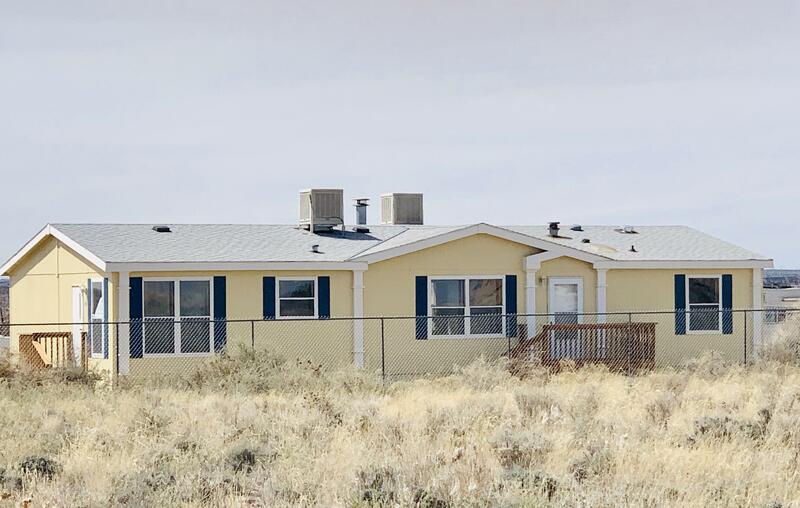 Located on a HUGE lot with spectacular mountain views. Refrigerator, washer, and dryer included! Home has two large exterior storage closets. Back yard vehicle access! Schedule your private showing today!" 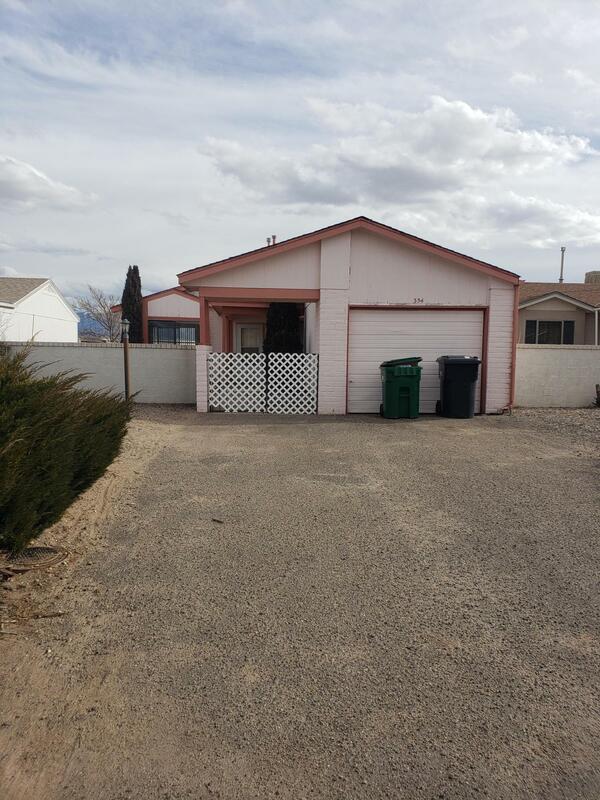 "Priced to sell fast!Cozy 3 bedroom home with nice sized yard is centrally located in Rio Rancho Minutes away from all the stores and restaurants, Cottonwood mall approx 10 mins away , Refrigerator , washer and dryer included . HURRY before it sells." "Move in Ready Home! 2 bedroom 2 full bath 2 car finished garage. NO Poly pipes and new roof in 2019. Kitchen appliances included. Raised ceilings, open floor plan and tile in all areas that could be wet. Walk in closet in second bedroom! Young Evaporative cooler and even younger Water heater! The HOA maintains the front landscaping for easy living. Large garage with work space! Come see this great value." "This Cypress Model is a great Open Floor Plan with vaulted ceiling that contribute to a spacious feeling home. There is a Sun Room that makes for a very cozy living space and is not included in the square footage of the house. The home has Two Bedroom and 1 & 3/4 Bathrooms. The 12' X 16' Living Room is comfortable and leads into an additional Sun Room Living area which is not included in the square footage. The Eat-In Kitchen has a Stainless Steel Free Standing Gas Range, Dishwasher, & R"
"This home is so great with a large corner lot, back yard access and lots of natural light inside plus 2 living areas. Upgraded with ceramic tile in nearly every room. This floorplan is wide open. Three bedrooms, 2 full baths and a walkin closet in the large master and an office area up front. There is a fireplace for those cool nights in the second living area. Come and take a look! The back yard has fruit trees and a storage shed that comes with the property. Come see!!" 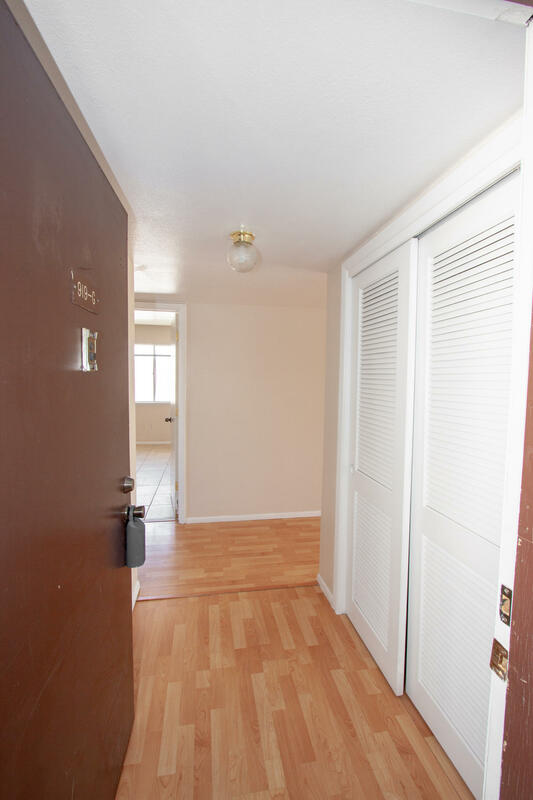 "Welcome home to this well maintained, move in ready 2 bedroom 2 bath property in North Hills. 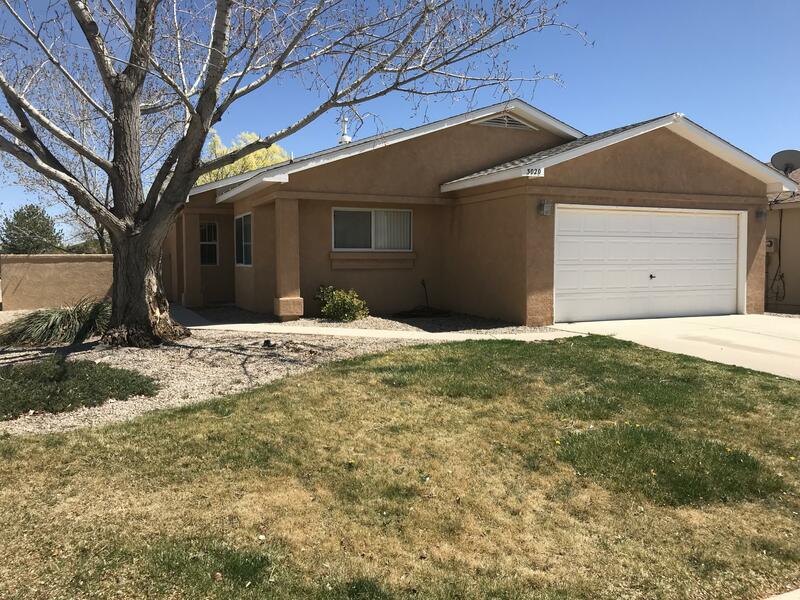 Beautiful updated kitchen, new carpets in bedrooms, tile floors in high traffic areas, new paint inside and out and a brand new roof has just been installed! Additional concrete surfaces added in backyard patio offers plenty space for outdoor entertaining. The one car garage temporarily converted to storage space and laundry room, but can be easily converted back with garage door still in place. Great o"
"Back on the Market! 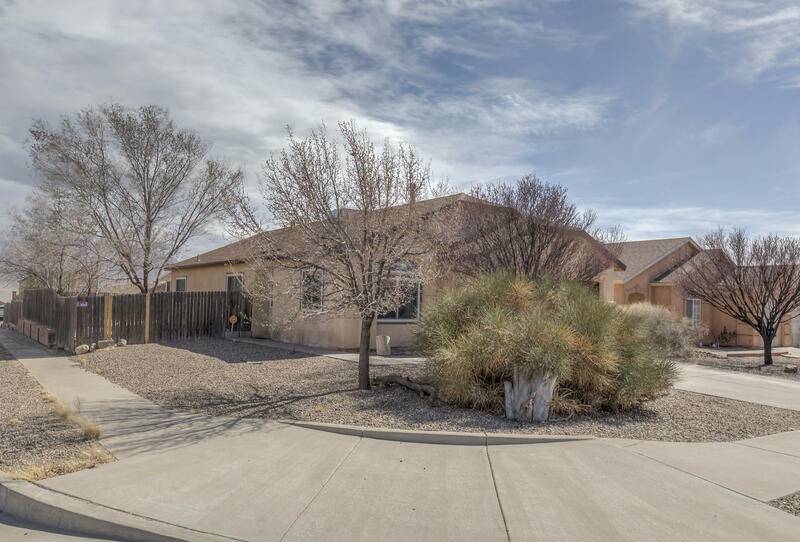 A beautiful REMODEL conveniently located on Northern west of Unser in Rio Rancho! Updates include, new flooring, carpet, kitchen counters, appliances, bathrooms, and interior and exterior paint! 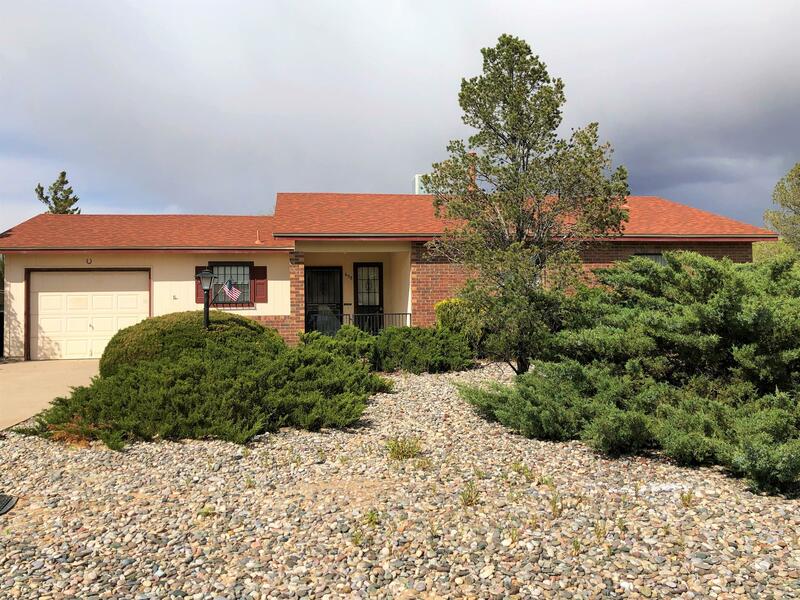 The property also includes beautiful VIEWS of the Sandia Mountains from a remote location, but close enough to Rio Rancho city life. Come and see this updated beauty today!" "Beautiful home located in Northern Meadows just minutes away from the New Downtown. 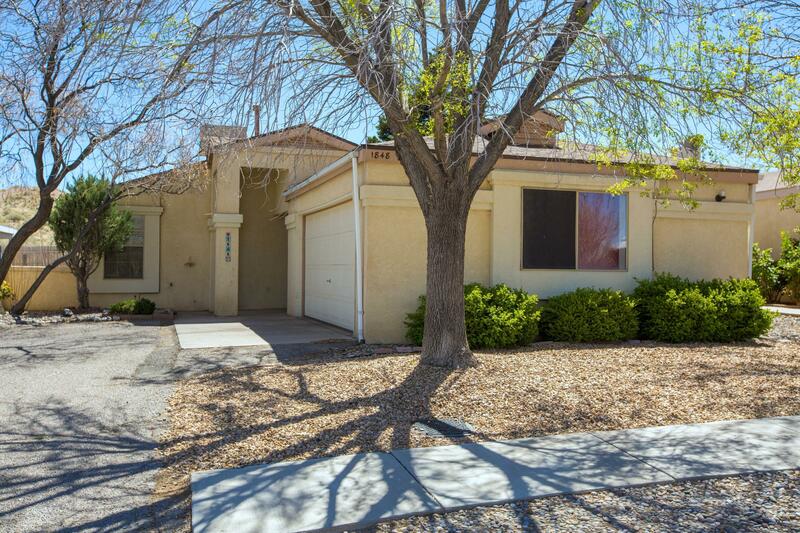 Large Corner lot and fully fenced backyard." "Charming Three Bedroom, 1.75 Bath, One car Garage Home with spacious backyard. New Roof in March 2016. New Furnace 2019. (transferable warranty) Replaced plumbing - Aqua Apex Water pipe with new valves to all fixtures.40 gallon Bradford White Gas water heater. Complete Water Delivery System Renovation. Fireplace in the living room. Property being sold AS IS. Don't miss out on this Gem!" "Light, bright and open! 3BDR/2BA/1CG! Newly painted interior! Terrific floor plan! Great room has cathedral ceiling, wood burning fireplace, access to the covered patio and large backyard! Kitchen is open to the great room and features bkfst nook! Washer, dryer, refrigerator convey! Beautifully landscaped front yard and huge backyard with covered patio; walled backyard & blocks convey for completion. Some finish work inside and out to be completed, waiting for you to make it your own!" "Fantastic Longford Home is just waiting for the new owner! 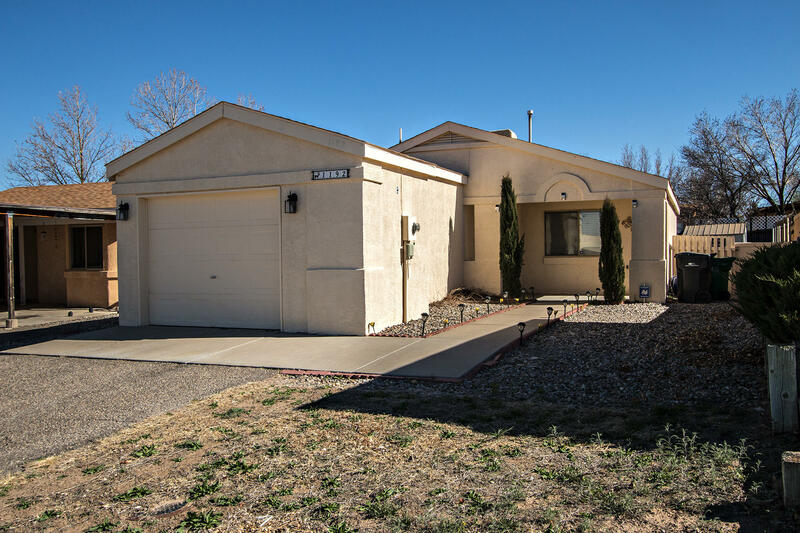 Perfect location is convenient to Santa Fe and Albuquerque on I-25. 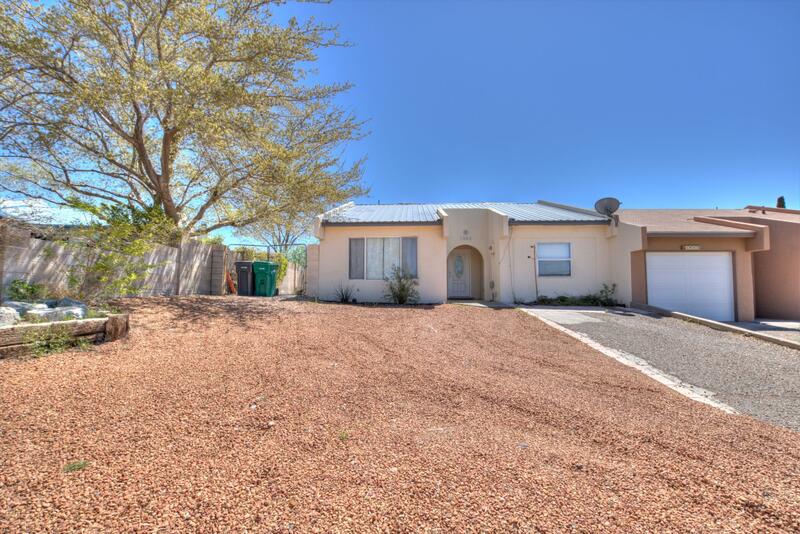 Large corner lot with side yard and City/Mountain views. very versatile floorplan can be large living/family room or you may opt for seperate breakfast and dining areas. Inviting sunroom was professionally built and brings in tons of light. Sunroom is not included in the square footage. Don't waste time, call to see this home today!" "Come and see this wonder Pulte home nestled on a corner lot! 2 Bedrooms with an office/den that can easily be converted to a third bedroom, open kitchen, to the large living area and dining area. Low maintenance back yard with extended wall for extra privacy, great sized master suite with walk in closet and full bathroom. Appliances stay with the home! Come and see this home today! Seller is providing a Carpet Allowance of $1,000.00 with acceptable offer." "Motivated Seller! FULLY REMODELLED.Open Floor Plan. A Very Bright and Cheerful Feeling in Home! Kitchen opens up to the Dining Room with a Breakfast bar. Master Bedroom has a room off of it that can be used as a office room, Baby Nursery or a Sitting Area. Its accesible with a sliding door from master bedroom and living area. It could also be used as 4th Bedroom with separate entry. The Sunroom overlooks the courtyard. Beautiful tree in the backyard with lots of shade. 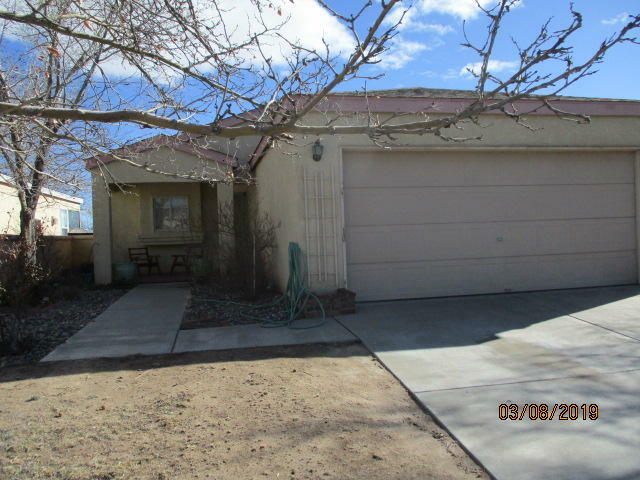 And REC/Owner Financing i"
"This is a well maintained home in a very quiet area. Only 55 or older can live in this small area. It has great views out the back, nice patio very private. The home is really nice, very clean, good floor plan.All appliances stay. Come and see!!!!!" "Another PERFECT home fro Rio Grande!"